Earn $49.99 in Rewards credit (4999 points) What's This? 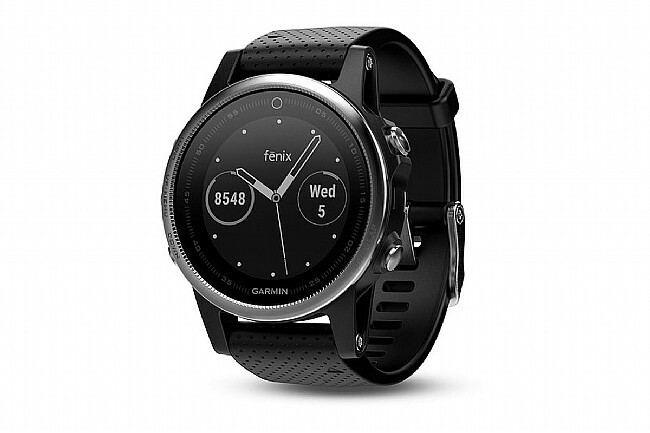 With the Garmin Fenix 5S GPS Watch, you can rise up and beat yesterday's performance time and time again. 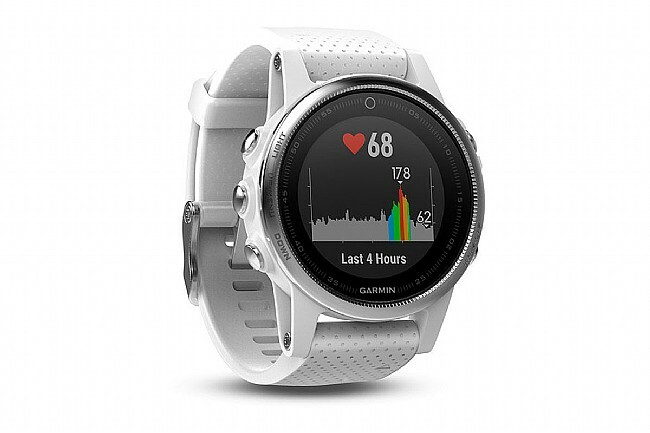 Chock full of performance features that can stand up to whatever activity you've got planned, this GPS watch will track your runs, rides or hikes in style thanks to the interchangeable bands. 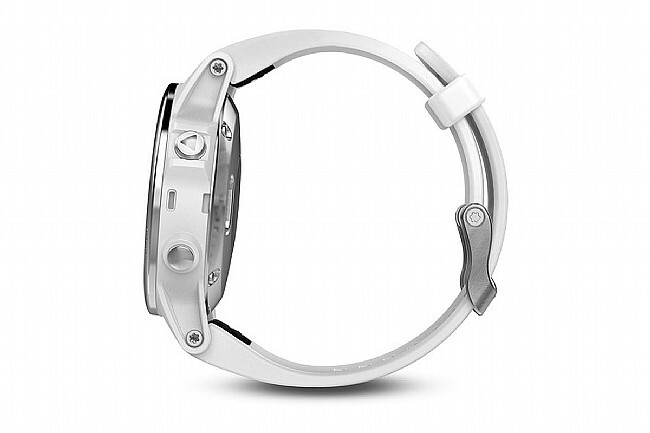 Starting with the modest 42mm backlit face, this smaller stainless steel body is perfect for those of us with small wrists. While the watch doesn't dominate your wrist, it is easily readable in all light conditions. The large 240x240 pixel 64-color customizable display allows you to tweak nearly every element, from the data fields to colors and more. 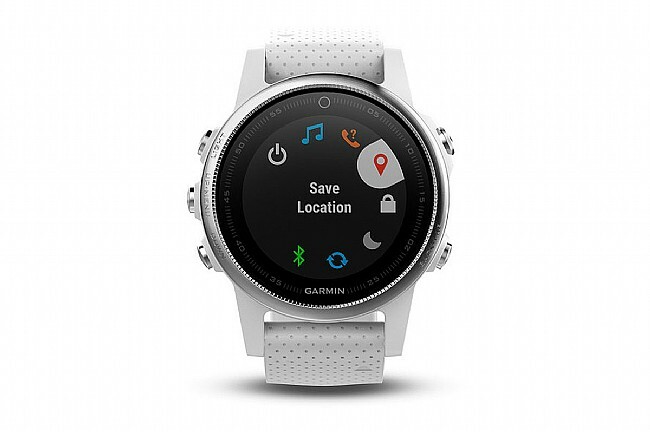 Download apps and 3rd party faces to truly personalize the watch to meet your needs. Inside the stainless steel body, the GPS and GLONASS dual navigation networks allow for precise tracking of your performance, even when you're out on the edge of civilization. In addition to monitoring your steps and sleep, the wrist-based Elevate technology allows you to monitor your heart rate at any point in your day without having to wear a chest strap. Furthering the level of precision, the onboard barometric altimeter and 3-axis compass with gyroscope make this the most precise version to date. The Fenix 5 GPS comes in 3 different sizes: this smaller 42mm Fenix 5S, the 47mm Fenix 5, and the larger 52mm Fenix 5x Sapphire watch. 218x218 pixel 64 color backlit display. GPS and GLONASS satellite compatibility. Elevate wrist-based heart rate monitoring. Support for Varia Vision, Varia Lights and Varia Radar control. Battery life: 24 hours in GPS mode, 1 week in standby mode. By far the best watch I've EVER owned! This watch goes with me everywhere and does more than you can imagine. Super sharp looking, waterproof and ultra functional. I will never stop wearing this watch. Best Buy Ever! A bit on the expensive side but really like the feature comes with it. 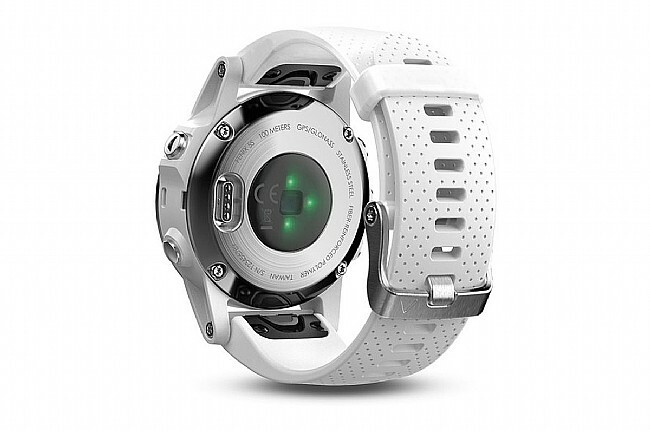 Exceptional battery life, accurate GPS, decent HR, and highly customizable training modes. So I have been wanting a GPS watch for several years, but they have always been big and bulky, the 5s is sleek and small, have no problem even wearing with a suit. I like that fact I can use it as an everyday watch, linked easily with my phone and strava, the ability to change the watch face is also very cool. So far battery life is great, have not had to recharge now for 7 days, thats with using the GPS for several rides. I can't say enough about the small size, I have small wrists and this watch is comfortable and stylish, if you don't want a huge watch weighing down your arm.